Country: Europe I guess, even Japanese is listed on cover. 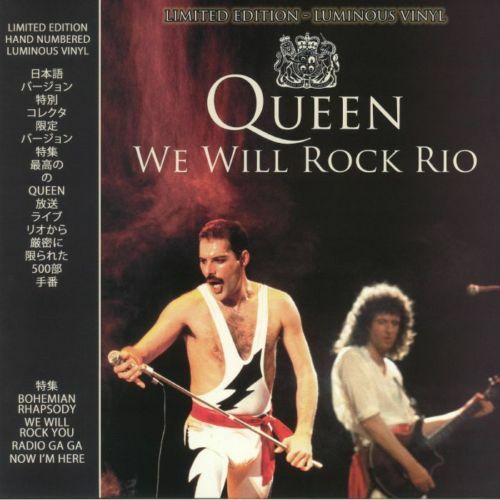 Recorded: Rio De Janeiro, January 1985. Sound: Excellent professional sound from officially released video. 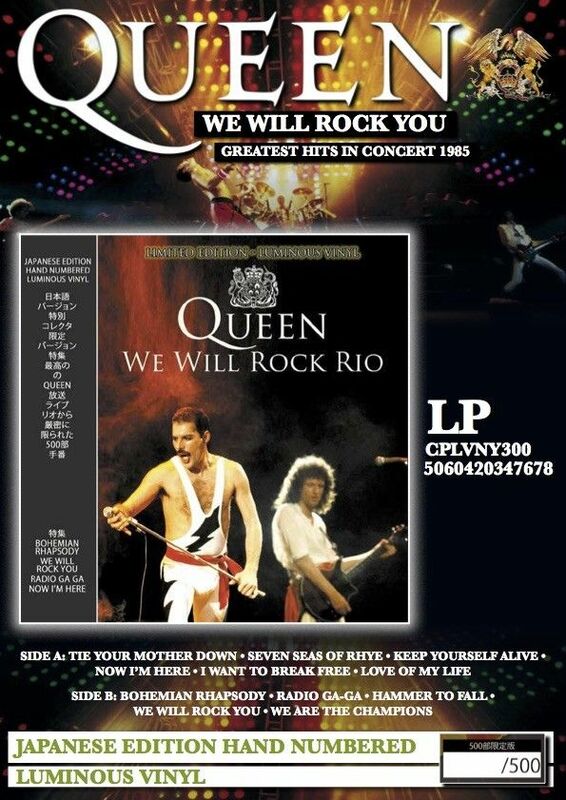 Comments: Again a vinyl release from the officially released "Rock In Rio" VHS video. 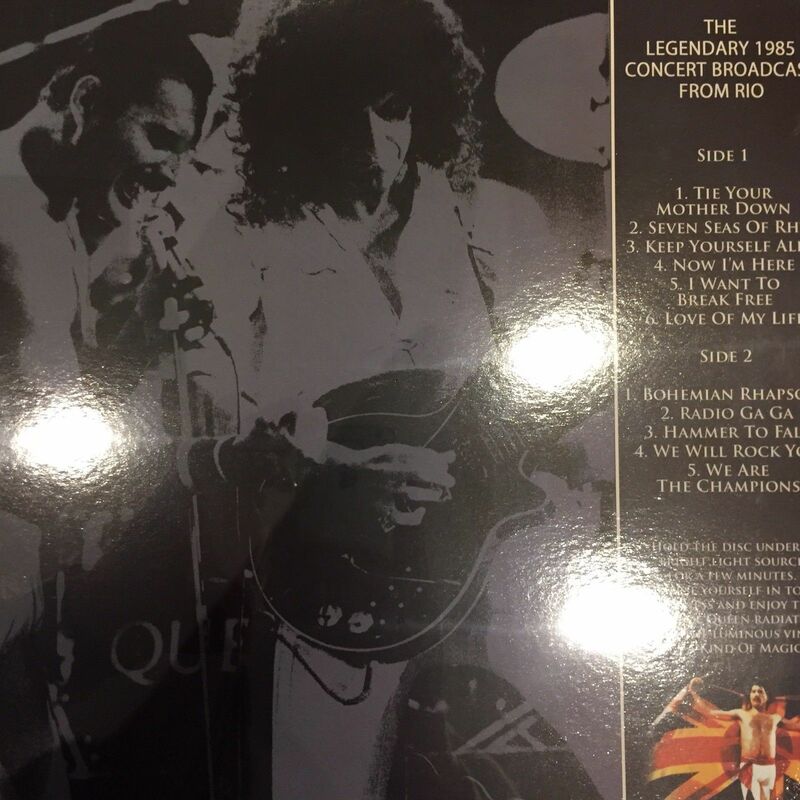 Well, a DVD is also officially released as a part of a box with 3 other Queen concerts. This vinyl album looks like a Japanese album, but as far as I know, this is an European release. This included a part of the VHS tracks. More than less, only of interest for complete vinyl collectors. Roots: Sound from the officially released "Rock In Rio" VHS video.